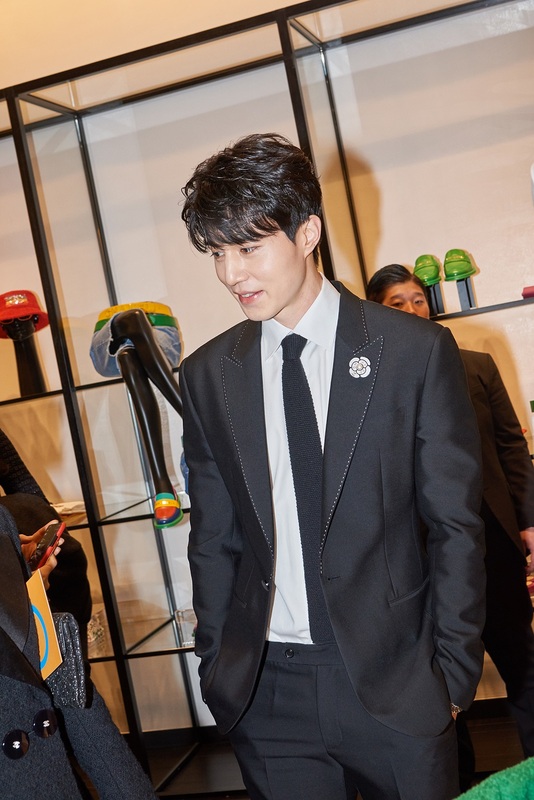 Just last Thursday, celebrities attended the CHANEL-Pharrell capsule collection worldwide launch in Seoul at the CHANEL flagship boutique in Seoul donned in CHANEL pieces. 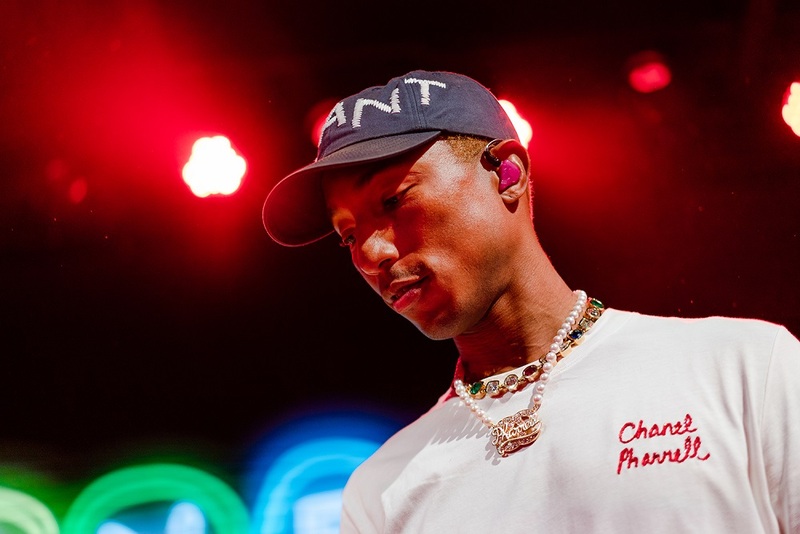 They were then treated to spectacular performances by Pharrell Williams and Jennie Kim, as well as DJs Soo Joo Park, Anna Kim and Plastic Kid at Daelim Warehouse. Here’s a quick look at what all these celebrities wore to the event! Jennie Kim wore a yellow tweed top (look 42 from the Spring-Summer 2019 Ready-to-Wear) and CHANEL accessories. Pharrell Williams wore a purple embroidered sweater and accessories from the CHANEL-Pharrell capsule collection. Pharrell Williams wore a white embroidered t-shirt and accessories from the CHANEL-Pharrell capsule collection. Jennie Kim wore a red cotton bathrobe from the CHANEL-Pharrell capsule collection, "Coco Crush" bracelet in white, yellow gold and "Boy.Friend" watch in 18K beige gold. Yoon-ju Jang wore a black stretch crepe jacket (look 68), black jumpsuit (look 71) from the Spring-Summer 2019 Ready-to-Wear collection, CHANEL accessories, bag and shoes. She also wore "Coco Crush" rings in 18K yellow gold. Ah-sung Go wore a black cotton jacket (look 70 from the Spring-Summer 2019 Ready-to-Wear collection), white cotton pants (look 67 from the Spring-Summer 2019 Act 1 Ready-to-Wear collection), CHANEL accessories and bag. She also wore "Coco Crush" rings in 18K white, beige gold, and "Code Coco" watch in steel. Claudia Kim wore a white striped tweed jacket (look 24), blue jeans (look 56) from the Spring-Summer 2019 Ready-to-Wear collection, CHANEL bag and accessories. She also wore "Coco Crush" ring and earrings in 18K white, yellow gold. Bobby wore a white tweed jacket (look 6 from the 2019 Cruise collection) and "J12" watch in white ceramic. Jay Park wore a white mesh blouson (look 88 from the Spring-Summer 2019 Act 1 Ready-to-Wear collection) and CHANEL shoes. Dong-wook Lee wore CHANEL accessories and had on CHANEL makeup. Je-hoon Lee wore a tweed jacket (look 2 from the Spring-Summer 2017 Ready-to-Wear collection) and "J12" watch in black ceramic and diamonds. Hoyeon Jung wore a black and white striped tweed blouse and tweed skirt (look 14 from the Spring-Summer 2019 Ready-to-Wear collection), CHANEL accessories, bag and shoes. She also wore "J12" watch in white ceramic and diamonds. Irene Kim wore a beige tweed jacket (look 3), gold tweed skirt (look 2), and a white top (look 58) from the Spring-Summer 2019 Ready-to-Wear collection, with CHANEL accessories and "Boy.Friend" watch in black alligator strap and diamond. Go-eun Kim wore a white tweed embroidered dress (look 20 from the Spring-Summer 2019 Ready-to-Wear collection), CHANEL accessories, bag and shoes. She also wore "Coco Crush" ring and necklace in 18K beige gold. Yoona Lim wore a pink and white tweed jacket (look 19 from the Spring-Summer 2019 Ready-to-Wear collection), CHANEL accessories and bag. Seo Joon Park wore CHANEL accessories. Anna Kim wore a white stretch denim (look 26 from 2019 Cruise collection) and a CHANEL bag. 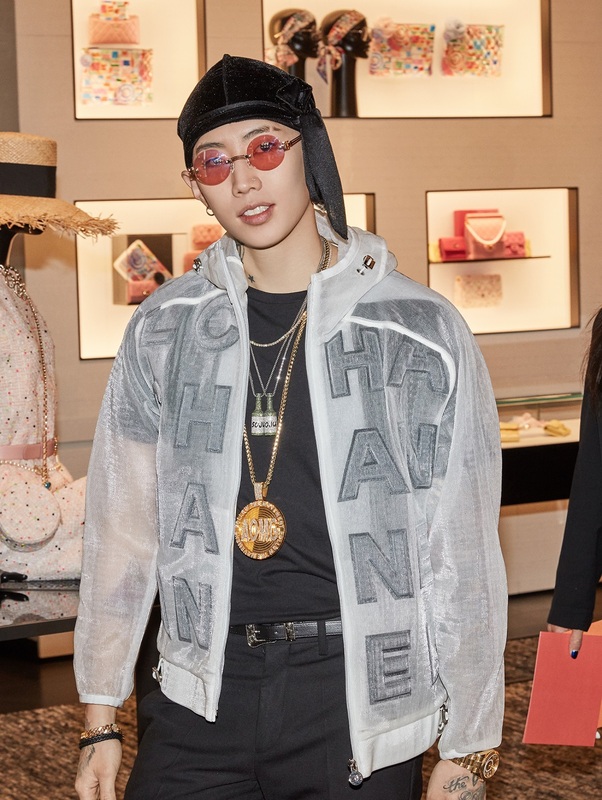 Anna Kim wore an orange embroidered t-shirt and accessories from the CHANEL-Pharrell capsule collection. Soo Joo Park wore a black leather jacket (look 66 from the Spring-Summer 2019 Ready-to-Wear collection), with black leather pants and CHANEL shoes. Jihye Park wore a white tweed dress (look 18 from the Spring-Summer 2019 Ready-to-Wear collection), CHANEL accessories, bag and shoes. She also had on CHANEL makeup. Soo Joo Park wore a multicolour sweater (look 25 from the Spring-Summer 2019 Ready-to-Wear collection), light blue jeans (look 20 from the Spring-Summer 2019 Act 1 Ready-to-Wear collection), and accessories from the CHANEL-Pharrell capsule collection. Hyejin Han wore a pink tweed dress embroidered with black, green and white sequins (look 29), pink tweed jacket (look 26) from the Spring-Summer 2019 Ready-to-Wear collection, CHANEL accessories, bag and shoes. Ryeo-Won Jung wore an iridescent grey tweed dress (look 58), a blue tweed jacket (look 29) from the Spring-Summer 2019 Act 1 Ready-to-Wear collection, CHANEL bag, accessories and shoes. She also wore "Coco Crush" ring and earrings in 18K white, yellow, and beige gold and "Boy.Friend" watch in black alligator strap. Yeon-hee Lee wore a beige and black leather dress (look 51, from the Spring-Summer 2019 Ready-to-Wear collection), CHANEL accessories, bag and shoes. She also wore "Coco Crush" rings in 18K yellow, beige gold. 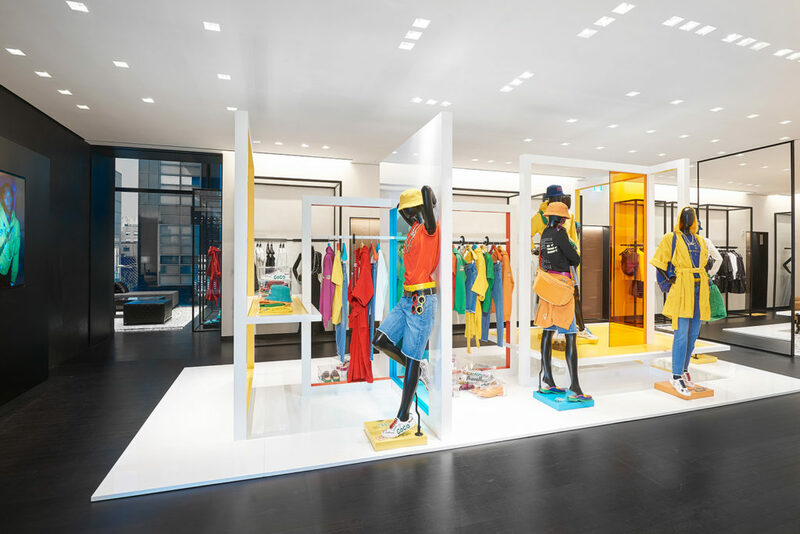 Here’s a sneak peek of what you can expect from the CHANEL-Pharrell caspule collection. The CHANEL-Pharrell capsule collection will be exclusively available at the CHANEL fashion boutique at Ngee Ann City from 4 April 2019.